Pictured here are two students working together on the exchange game. 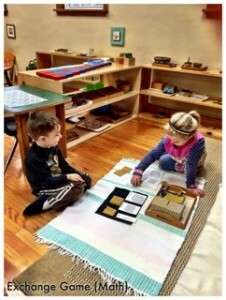 This entry was posted in Admirals, Blog, Monarchs by montessori-admin. Bookmark the permalink.